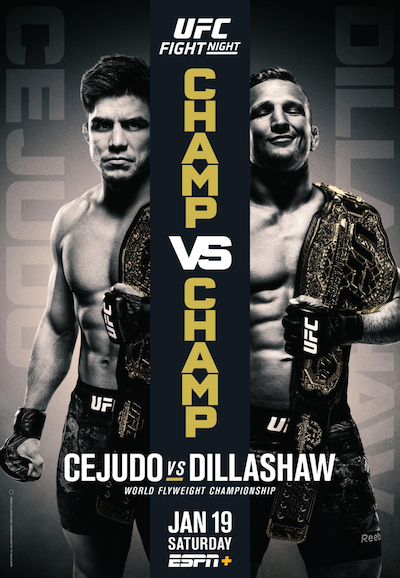 UFC makes their debut on ESPN+ tonight from Brooklyn as bantamweight champ TJ Dillashaw moves down to 125-pounds to challenge Henry Cejudo for his flyweight belt. Also, top tier flyweights Joseph Benavidez and Dustin Ortiz go head-to-head, Donald Cerrone faces Alexander Hernandez, and much more. Even though Hernandez was the favorite, we advised against betting against Cerrone in this one.